Collect Mobile : how to check distance to plot? I would like to show a warning if the operator using Collect Mobile is further than 20 meters from the center of the plot that has been specified in the sampling design. 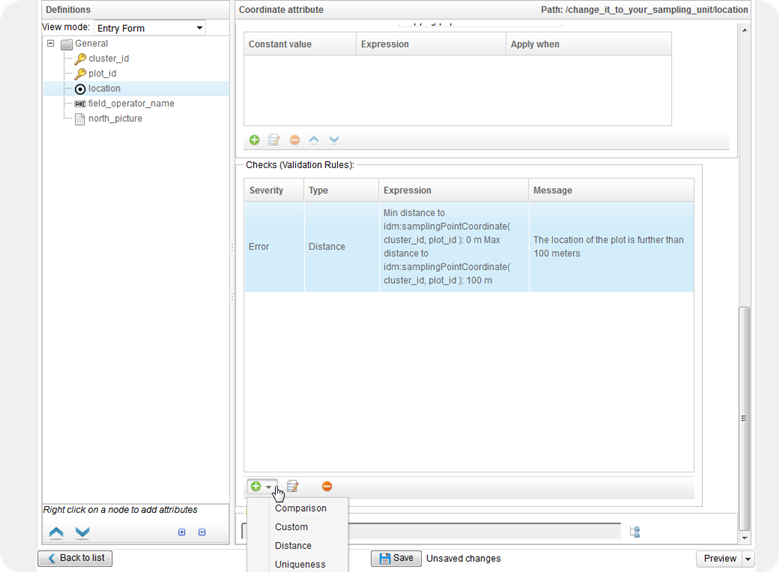 So I have a very simple case, a survey that is using the same sampling design as can be downloaded as an example from the Collect Survey Designer (the one in VietNam) and that has cluster and plot IDs as key fields and then ask the user to take a picture, write his/her name and record his current location. How can I show a warning if the current location is further than 20 meters from the expected location of the center of the plot??? In our case the plot coordinate was under the similar hierachy (cluster/plot). So it seems that my survey is a bit different because the cluster_id and plot_id are in the same entity(not very good design I guess) so instead of using the parent() to access the parent entity I reference the IDs straight away. 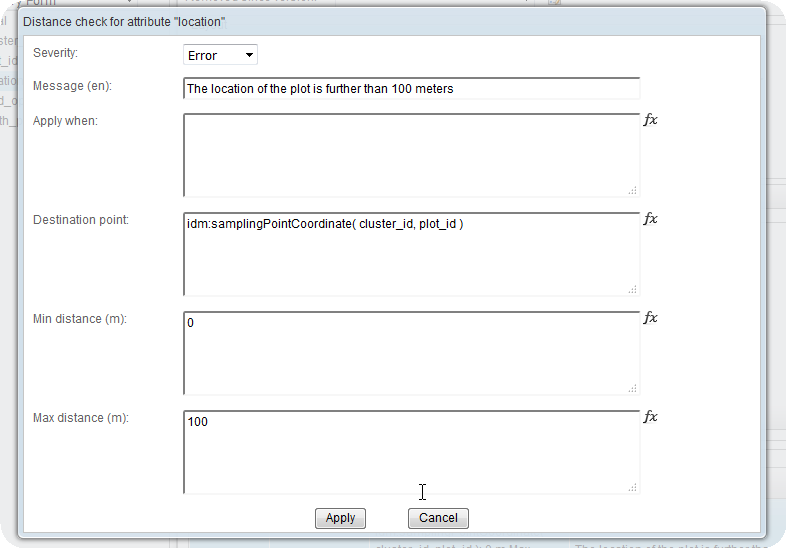 On this topic, and after looking into this survey ( showcase Collect survey ) I found that I can also have a calculated field used to find what is the distance between the plot_center and the location where the operator took the measurements. Compatibility between geoODK/CollectMobile and Collect Earth?